Chefs and restaurateurs are pouring considerable money and effort into pop-ups, which free them from the constraints of geography. In February, diners in the Sri Lankan capital got a taste of a 30-layer porcini risotto, one of the signature dishes of The Table, an acclaimed restaurant in Mumbai, without having to venture beyond downtown Colombo. The risotto was among a handful of carefully-chosen dishes that were offered by The Table at its first pop-up in Sri Lanka. Cost was clearly not a deterrent – despite the dinner being priced at a hefty LKR 15,000 (INR 6,300) per table and brunch at LKR 12,000 (INR 5,000), both events quickly sold out. The runaway success of The Table’s first overseas venture was proof of the popularity of pop-up restaurants. No longer bound by the constraints of geography and brick-and-mortar spaces, Indian restaurants are increasingly embracing the possibilities and fluidity offered by pop-up events, both within the country and abroad. Although the concept of supper clubs and pop-up restaurants is not particularly new, the trend has truly peaked in the last couple of years. Boosted by the triumphs of high-profile pop-ups – such as the acclaimed Danish chef René Redzepi’s Michelin-starred restaurant Noma’s seven-month stint in Tulum, Mexico, in 2017 – a growing number of restaurateurs are willing to mount the massive logistical exercise involved in organising a pop-up, in exchange for exposure and access to new markets. For Gauri Devidayal, co-founder of The Table and Magazine Street Kitchen, an experimental kitchen space in Mumbai that also routinely hosts pop-ups, the Colombo outing was an opportunity to gain some first-hand knowledge about a growing market. “Colombo is the [sort of] place from which people are likely to come to Mumbai,” she said. “The idea was to appeal to a potential target audience.” To this end, Devidayal and her team of chefs started planning a month in advance, sharing ingredient lists and kitchen requirements with Naserah Tyebally of the Colombo Supper Club, who organised the pop-up, and the chefs at the Galadari Hotel, which hosted the event. For many restaurateurs and chefs, faithfully rendering the ambience of a restaurant is just as integral to the process as perfecting the food. For instance, at Noma’s Mexican outpost, Redzepi and his large team laboured for months to evoke a sense of place, eventually carving out a restaurant from the surrounding jungle. For Prateek Sadhu, executive chef of Masque, the “wilderness-to-table” restaurant in Mumbai, capturing the experiential aspect of fine dining is crucial to the overall success of a pop-up. Serving experimental cuisine that focuses on foraged and hyper-local ingredients sourced from across India, Masque offers an intimate and interactive dining experience. “Ours is a menu-less restaurant, so the kitchen is a very important part of the meal,” he said. Given that restaurants have access to an urbane and well-travelled audience that is willing to pay top dollar for an exclusive dining experience, there has never been a more lucrative market for those in the pop-up business. When Tyebally moved to Colombo in 2001, the city’s limited foodscape was starkly different from the vibrant one that she grew up with in Singapore. In 2016, she decided to address this void by inviting famous chefs from Asia and beyond to Colombo Supper Club to offer Sri Lankans the opportunity to try new cuisines and concepts. The debut pop-up was with Rishi Naleendra, the first Sri Lankan chef to win a Michelin star for Cheek by Jowl, a modern Australian restaurant in Singapore. “He wasn’t a Michelin-starred chef at the time,” said Tyebally. “I was just impressed with his food, and asked if he would like to come and cook here.” The menu included dishes like laksa leaf coconut ice cream, spinning familiar Sri Lankan ingredients in innovative ways. On the other hand, for restaurateurs looking to expand their footprint, the stakes are particularly high. The success of a pop-up hinges on several variables falling into place, which can be difficult to orchestrate away from home turf. Despite meticulous planning, Devidayal and her team faced challenges with sourcing high-quality ingredients. 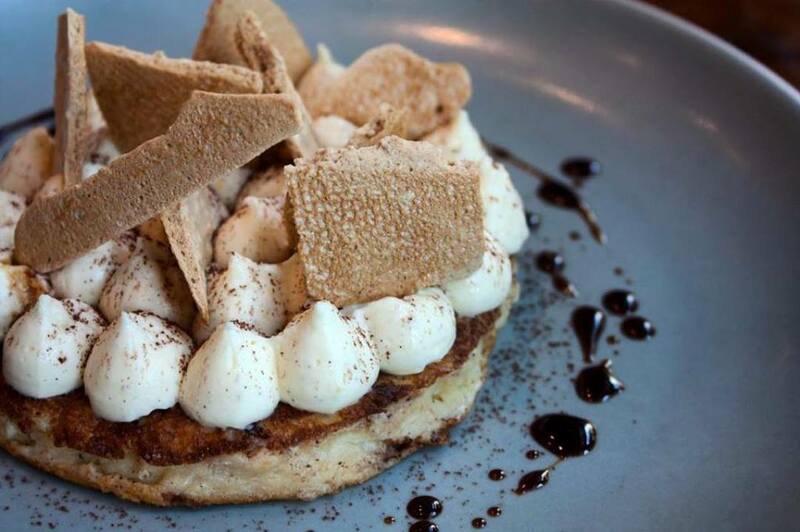 “We brought 150 kg of ingredients from Mumbai, which included everything from mascarpone and truffle oil to cheeses, breads, grains and seeds,” she said. Similarly, when celebrity chef Dharshan Munidasa, co-owner of Ministry of Crab in Colombo, hosted pop-ups in Mumbai and Delhi last year, he found access to export-quality crab particularly difficult. “The best crabs leave India – to get them, you have to pay [higher rates] than the export market,” said Munidasa, who is believed to be in the process of starting a Mumbai outpost of Ministry of Crab, which has consistently featured on Asia’s 50 Best Restaurants list since 2015. Despite publishing a seafood-focused menu beforehand, Munidasa also had to field requests for vegetarian dishes and off-the-menu specials. “The words ‘vegetarian options’ kill us because we are forced to cook our second best dish,” he said. Despite these hiccups, however, restaurateurs and chefs are willing to go the extra mile. 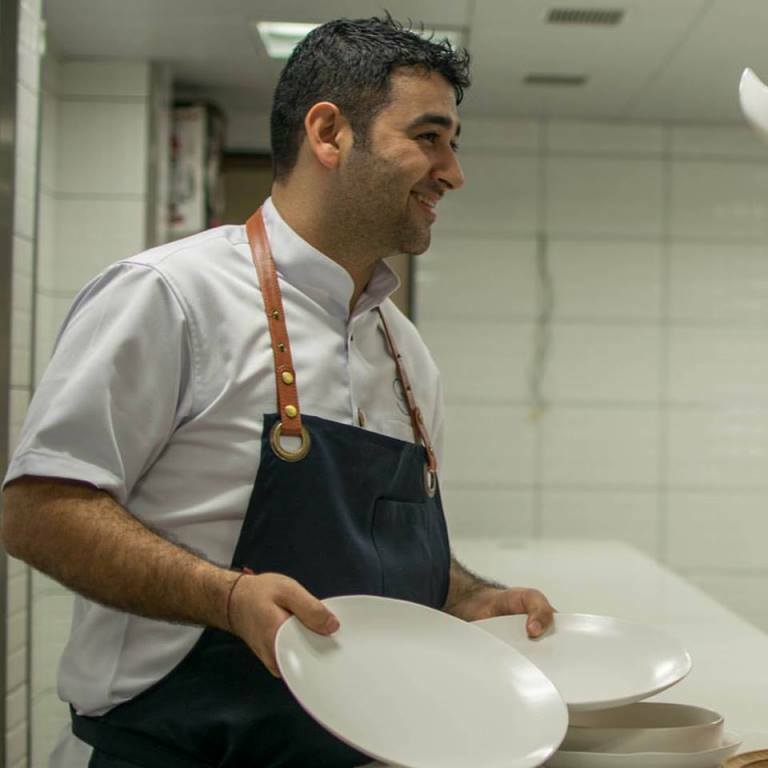 “The first half of 2018 sees us in 12 cities,” said Munidasa at a glittering ceremony in Colombo in April to celebrate the inclusion of his restaurants, Ministry of Crab and Nihonbashi, in the Asia’s 50 Best Restaurants list. 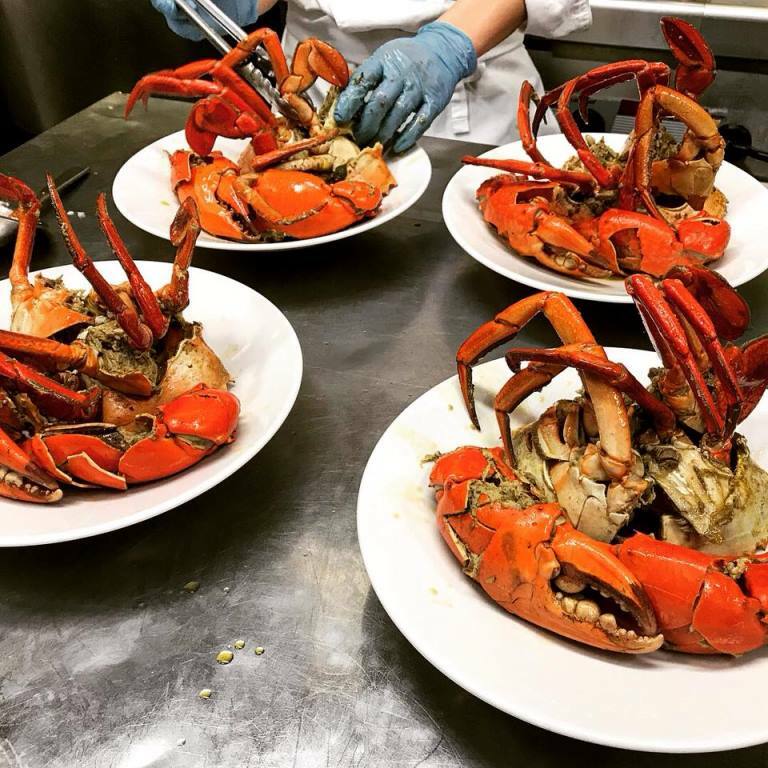 His 30-strong pop-up team is expected to bring the Ministry of Crab experience to Sydney, Macau and Japan, among other destinations, this year. 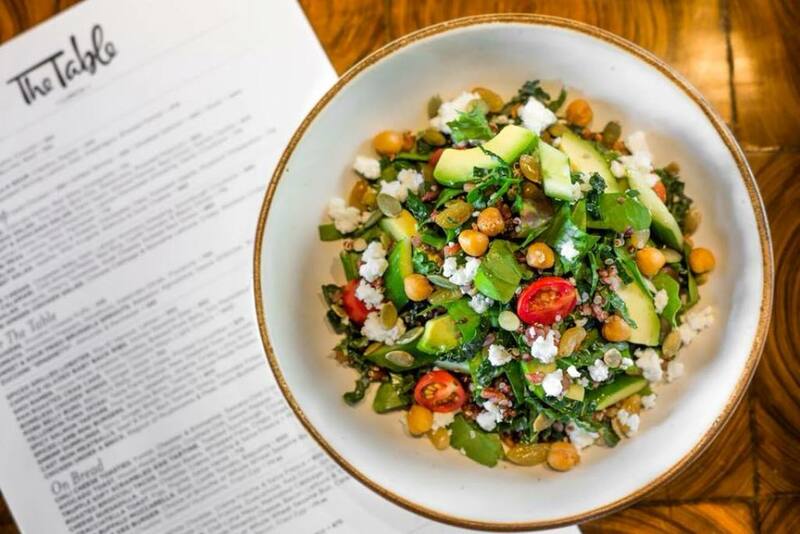 Earlier this month, after hosting a number of collaborations over three years, Mumbai’s The Bombay Canteen – which is based on the philosophy of representing regional Indian cuisine – popped up at Naleendra’s Cheek by Jowl in Singapore. Whereas regional Indian cuisine may have once been perceived as niche, the restaurant’s pop-up was proof that palates have evolved.